Dutch children may sue sperm bank father for making them exist. 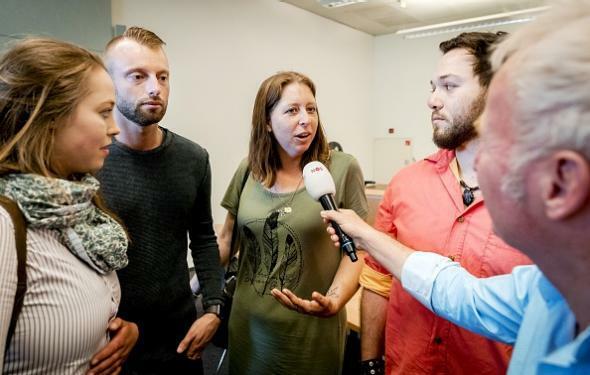 Donor children at a court hearing related to the case of fertility clinic director Jan Karbaat in Rotterdam on Friday. Eventually, if the DNA profile matches, the children, most of them born in the 1980s, hope to sue the doctor, possibly on the grounds that they should not exist. As the father of a child and a resident of the perverse plane of existence in which we all find ourselves, I must object to the potentially dangerous precedent that could be set here. If you can sue a lying sperm doctor simply for creating your existence, what’s to stop you from suing someone who “donated” the sperm required to create you in the more traditional way? (Humblebrag!) Are we really going to let some batty European socialist court put us all at risk of being sued when our kids find out that we had the option not to yank their consciousnesses out of ethereal nonexistence into a physical world in which Andy Borowitz articles exist? As it happens, there’s a fertility doctor in Indiana who’s also been accused of improperly using his own sperm to impregnate patients. A sperm donor in Georgia who’d fathered at least 36 children, meanwhile, was recently found to have concealed a history of mental illness and frequent arrests. Like I said—this is a messed-up world, and we need to think carefully before we start making claims about which dads are liable for it.